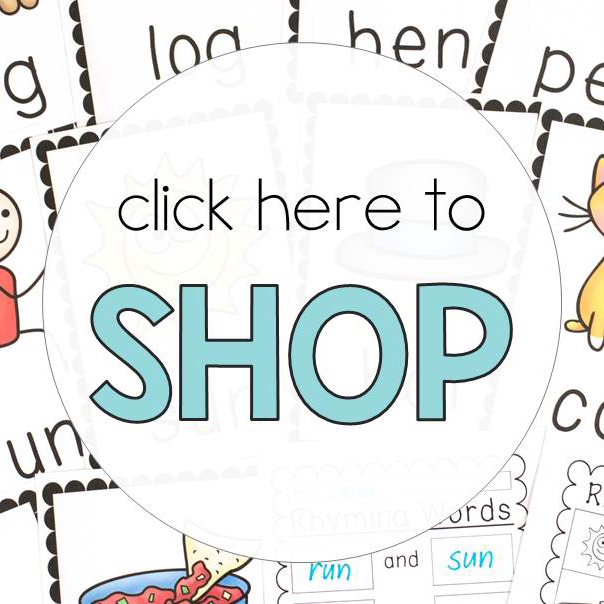 GET STARTED WITH DRAMATIC PLAY WITH MY FREE SUSHI SHOP PRINTABLES! GRAB THEM NOW! I am such a fan of simple play that ignites the senses! One of my favourite ways to do this is through small world trays! They are SO incredibly easy to set up using things you probably already have in your cupboard so they needn’t be expensive either! 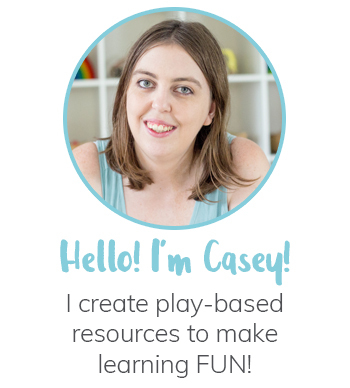 Today I’d like to share some tips with you on how to get started with small world play! There are really only three main components to a sensory small world – the base, the figurines and the loose parts. Then all you need is something to set it up on or in! You could use a small world table or any old container really! Lately we’ve been loving the Kmart Metal Tray for our small worlds! 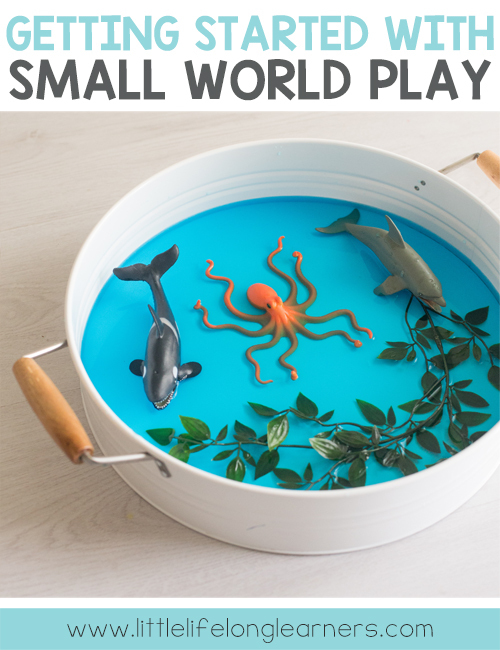 Let’s get stuck into the details so that you can create your very own small world tray in no time! Dyed brown rice and yellow split corn made this African Small World very enticing! Schleich or CollectA animals – We have a set of farm, jungle, ocean, dinosaur and wild animals! Wild Republic polybags – These ones are still large enough for little hands while still being realistic. 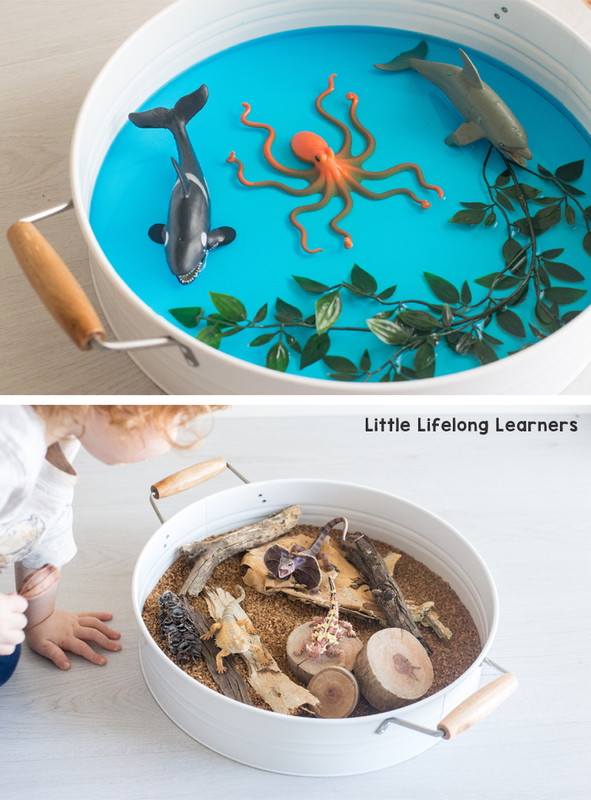 We love our Aquatic Animals and Insect sets! 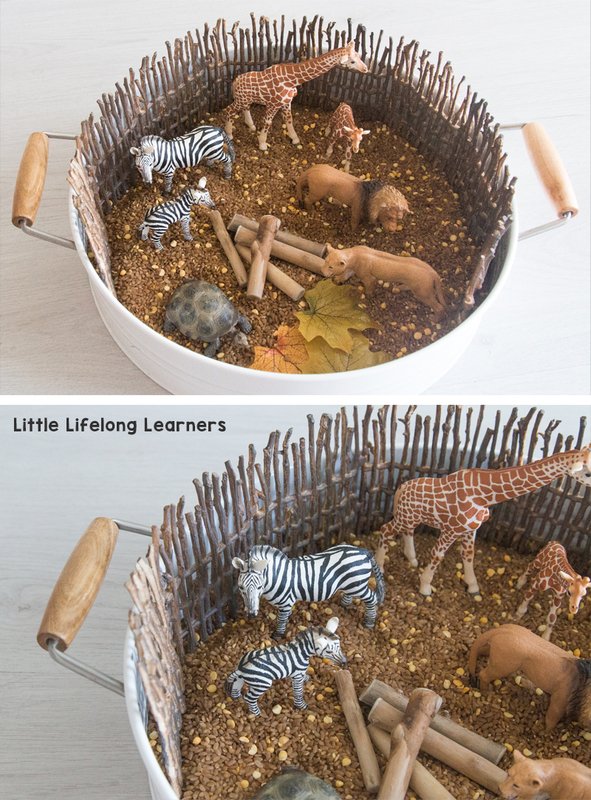 Safari brand Toobs – These smaller sets of animals are perfect for small worlds on a smaller scale. They’re also great for adding to a kit to take out and about too! CollectA Minis – We recently got our first few sets of Minis and they are gorgeous! They are smaller versions of the very realistic larger animals! Peg dolls and little people – We love the little Hape brand people from The Creative Toy Shop. My little learners loved this Construction Small World! The small pebbles were such a hit! The final step is adding your loose parts, plants or any other little extras. But keep in mind, this totally isn’t necessary! 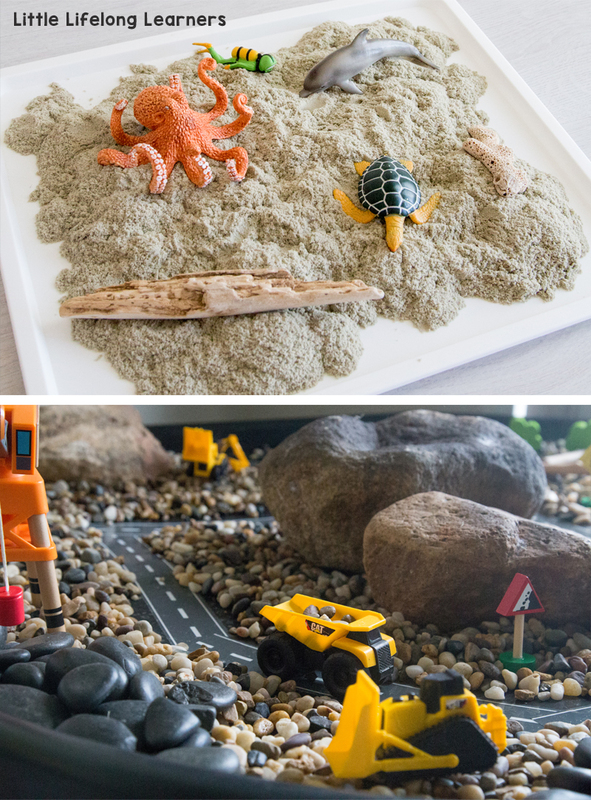 Often the sensory element and figurines are enough to invite lots of engaged play! Natural Loose Parts – Collect things from nature that you can use in your small worlds. Shells from the beach or twigs and pebbles from the park make wonderful additions to your small worlds. You can also get gorgeous wooden pieces from Mini Minds Australia and Made With Altitude that add such a gorgeous natural touch to your tubs! Fake Plants – We have quite the collection of fake plants for our small worlds. We find them at dollar shops, Ikea and our local Aquarium! Our lizard small world was made up from natural treasures we collected at the park the day before! I added them to a tub of brown dyed rice with our CollectA lizards and our Mini Minds Australia natural wood slices. 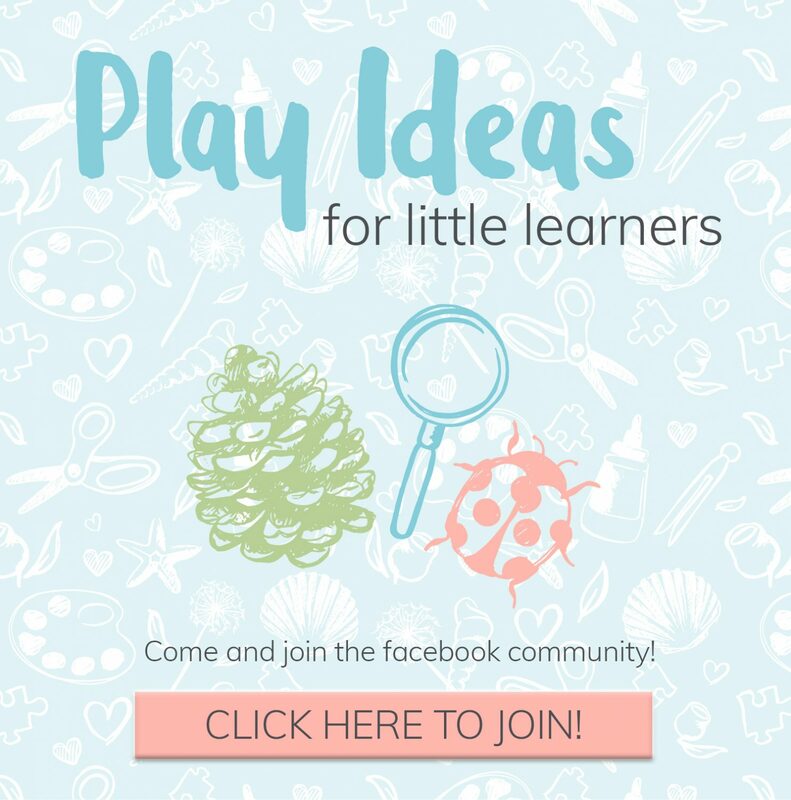 I hope these tips get you excited to get started with small world play!